Forms are very important for a website. Because they help you collect the user data. Depending upon the need, these forms can be used as a Contact form, Registration form, Login form, etc. If you are a WordPress user, then you might come across so many form builder plugins. One among those plugins is WPForms. And today, in this WPForms review, we will explore all its features. Note: This is a sponsored post. I was paid $25 for this post. However, the contents of this review are completely based on my opinion. If you have a product/service to be reviewed then do check my advertising options. How to install WPForms plugin? How to use create a form with WPForms plugin? 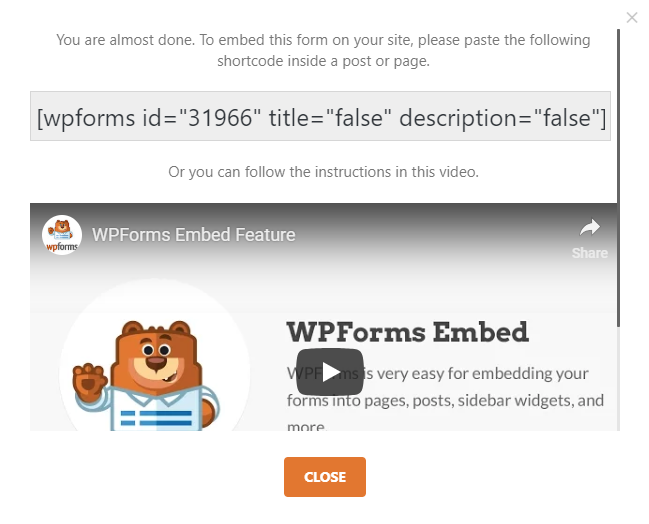 WPForms is a drag and drop form builder plugin for WordPress. The founders of WPForms are Syed Balkhi and Jared Atchison. 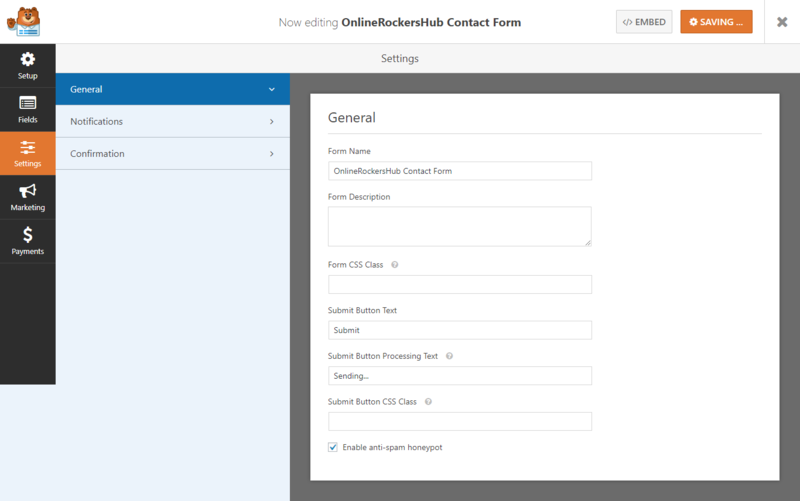 Earlier, Contact Form 7 was the only free form builder plugin available for WordPress. Being, the only free form builder plugin for WordPress, the plugin has got millions of installations. However, the plugin is not of such high quality and it is not beginner friendly. That gave the idea for the new form plugin, which is simple and user-friendly for beginners. And that’s how the idea of WPForms came into play. The motive of the founders was to create WPForms with a UX first approach to make sure that is extremely easy to use for nontech savvy users. And at the same time, it should have all the features that you will need to create a powerful and flexible form for your website”. That’s a brief intro on WPForms. Now, let’s get on to the features of this plugin. Mobile Friendly: WPForms is 100% responsive WordPress plugin and it is mobile friendly. It means your forms don’t break on mobile devices. Pre-built Form templates: WPForms has got pre-built form templates. So, you don’t need to start from scratch every time. 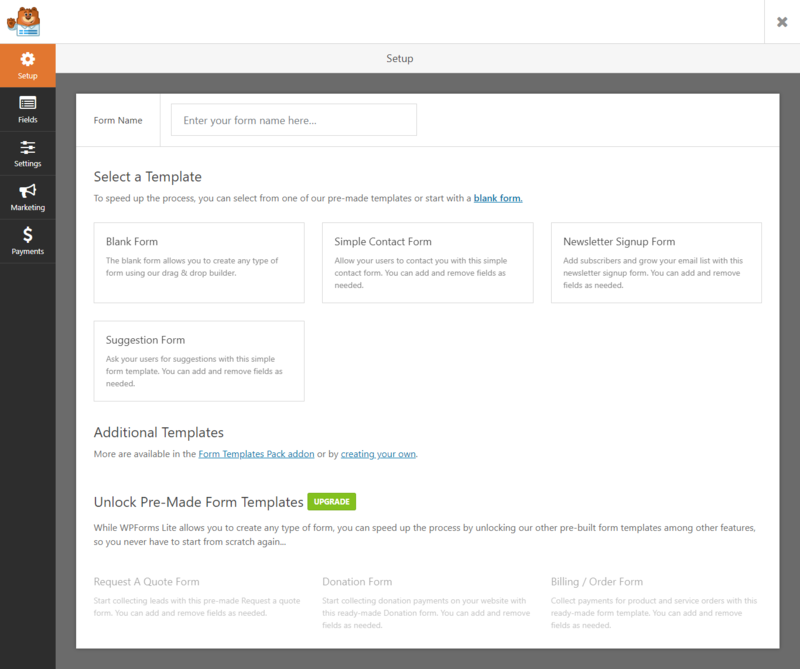 Drag and Drop builder: As I already mentioned, WPForms is a drag and drop form builder plugin. You can just drag the elements you need for your form and drop it where you want to place it. No coding required. Spam Protection: WordPress forms get easily hit by spam form submissions. But, WPForms use smart CAPTCHA and Honeypot method to stop these spam form submissions giving you a peace. 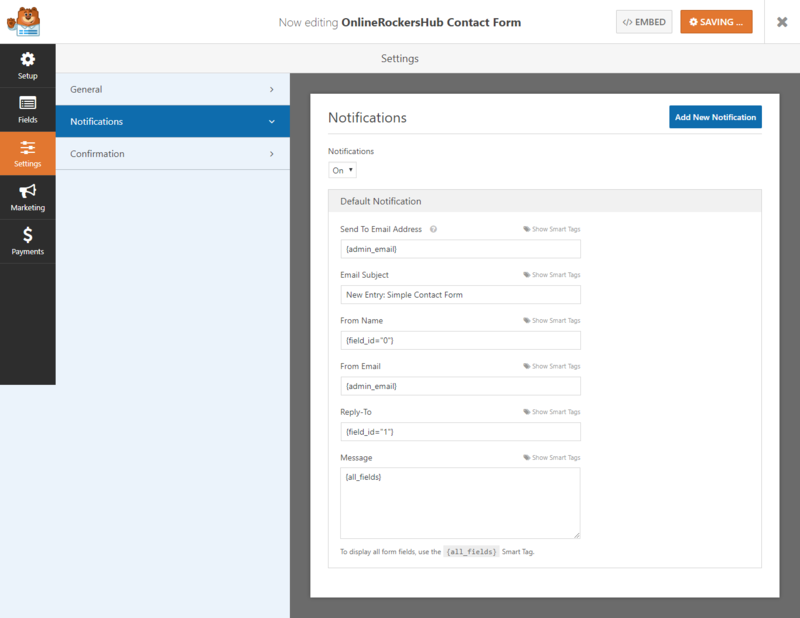 Instant Form Notification: Whenever your visitor submits your form, WPForms will give you instant notifications like email, so that you can respond instantly. Smart Form Confirmation: This is a very essential feature for forms. Because, once your user submits the form, you will have to either display a success message, or you will have to redirect them to thank you page, or any other. File Uploads: WPForms allows your visitors to upload files and media through your forms and helps in easy data management. Payment Options: With WPForms, you can integrate Payment facilities into your forms. So you can start receiving donations, payments and online orders just using your form. Smart Conditional Logic: You might have seen a similar feature while creating forms in Google Forms. Google forms would allow you to show or hide the form fields depending upon the user inputs. But, WPForms allows you to perform more advanced operations with this smart conditional logic. Gutenberg Ready: WordPress 5.0 comes out with the Gutenberg editor. And WPForms is already ready for this Gutenberg update. These are some of the basic features of WPForms. Their functionality can be extended with their add-ons, which are available only in the premium memberships. Before we look on to the pricing of premium memberships, we will look at how to install this WPForms plugin and create a form using this plugin. As I just mentioned WPForms has various memberships. Now, we will look at how to install the WPForms Lite plugin. The WPForms lite plugin is the free version of WPForms plugin and it is available at WordPress Repository. If you need help in installing this plugin, do refer to my tutorial on how to install a WordPress Plugin. Once installed, you can start creating your forms at WPForms. 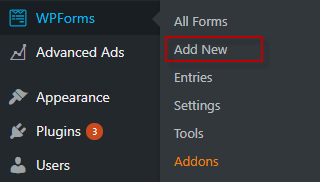 To create a new form, Choose WPForms -> Add New in your WordPress sidebar. This would open up the WPForms builder. In the image shown above, you could notice that there are some premade templates available like Simple Contact Form, Newsletter Signup Form and Suggestion Form. WPForms does have more templates. But, they are available only in the premium memberships. 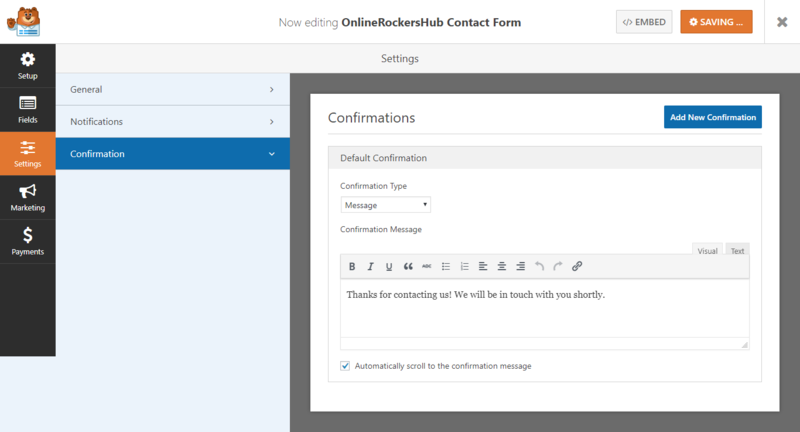 In this tutorial, I am going to create a simple contact form with the premade template available. So, I would enter the Form Name and choose Simple Contact Form. If you wish to create your own form, then choose Blank Form and start adding your own fields. To add a field, simply drag the desired field and drop it where your want, and then edit the field options. Notice that there are three sets of fields namely Standard Fields, Fancy fields and Payment Fields. With the Lite edition, you can add only Standard Fields, but the premium versions would allow you to add these Fancy Fields and Payment Fields. Once, you are done with the fields, proceed to the Settings in the WPForms sidebar. Under Settings, you have got three tabs: General, Notifications and Confirmation. Under the General Settings, you change the Form name, description, Submit Button Text, Submit Button Processing Text and add classes for your Form and Submit Button. You can also enable Anti-spam Honeypot to protect your forms from Spam Submissions. The Notification Settings will help you decide whether you want to get email notifications or not and you can modify the contents of the mail here using Smart Tags. The Confirmation Settings will help you display either a success message or take your visitor to one of your pages or you can redirect the user to an external website. Once, you are done with it, just save the form. You can also integrate these form entries to your email marketing service. The Lite version allows only Constant Contact Integration. However, you can view all your form entries in the WordPress dashboard itself. Next, you will have to embed the form. To embed the form, click the Embed Icon at the top of the page, and you will be provided with the shortcode. Just copy the shortcode and place it where you want to display it. Alternatively, you can also make use of the Forms tab in the WordPress editor to insert your forms to your pages and posts. 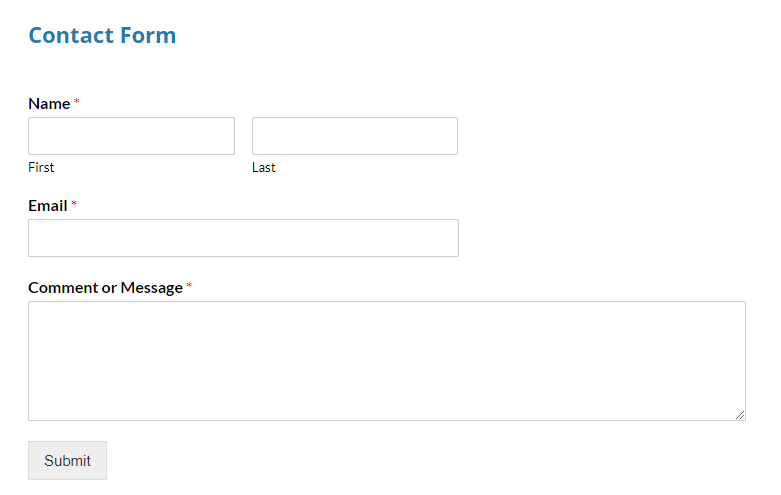 Here is a preview of the form that we created in this WPForms tutorial. Looks simple and clean right? That’s what WPForms has been designed for. 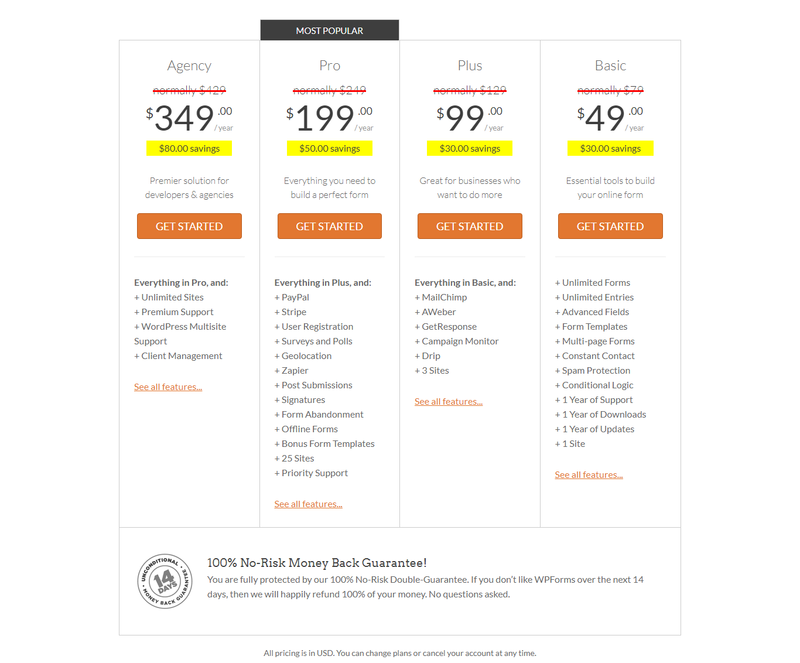 Here is the pricing for the premium memberships of WPForms. The basic membership starts at $49 per year. You might look for trial. But WPForms doesn’t offer a trial for their premium memberships. However, they have 14-day Money Back Guarantee. So, if you are not satisfied with WPForms, then you can get your full money refunded within 14-days of the purchase. So in this WPForms Review, we looked at its features and how to create a form with the WPForms Lite plugin. Here is the summary of this WPForms Review. 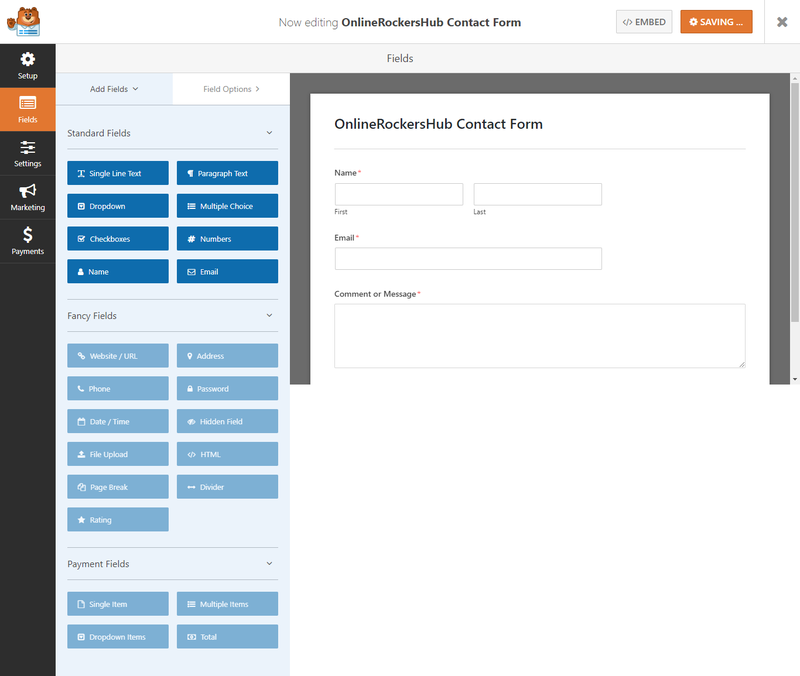 WPForms is definitely a user friendly form builder plugin for WordPress. It’s powerful payment features and spam prevention techniques makes it stand out from the rest of premium form plugins.